Regia-Americare, a newly established home healthcare service provider, is looking to recruit and train medical personnel to cater to its prospective clientele. 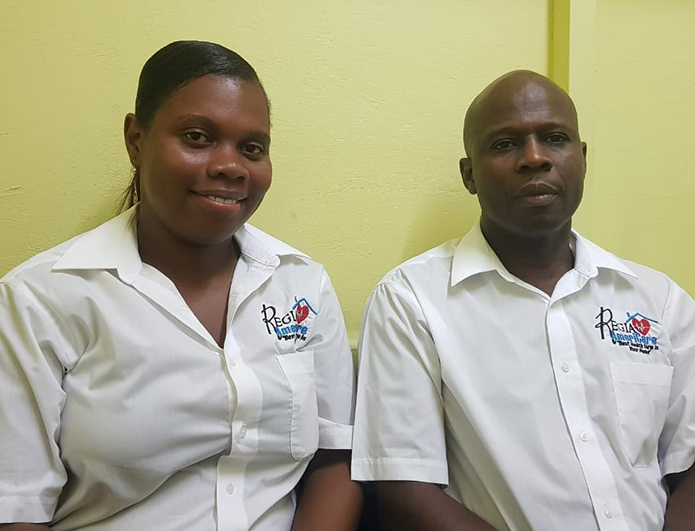 Regia-Americare was founded by overseas-based Guyanese Orlan Cort Jr., who told Stabroek News that he has been a registered nurse in the United States for the past 26 years. According to Cort, the company, which has an office located at 130 Carmichael Street, Georgetown, was officially established within the last month, with operations having commenced on October 1st. Services offered include home infusion, rehabilitative care, chemotherapy, wound care, as well as rental of respiratory equipment, wheelchairs, and hospital beds, and other equipment. “I have been a nurse for about 26 years now in the US and I would really like to utilise my expertise and skills where these services should be available but are not. So what we are doing is using the protocol that we utilise in the United States and as much as we can transfer, we take the best from over there and implement it and do it here,” he added. Commenting on the recruitment and training process, Cort explained that they are looking to hire registered nurses, certified nursing assistants and doctors who will be employed in providing care in the patient’s home. He noted too that though they would have done limited advertising thus far, there have been expressions of interest by individuals, and as a result they have been able to recruit several persons who have already begun training. “We started about a month ago from New York on Facebook and through email and WhatsApp but [official] recruiting will start this week. It is going pretty good, we’ve had some limited exposure to the radio and we are going to have some ads on NCN and then we expect to really aggregate and grow with that exposure. We still have had preliminary recruiting and currently have a class of seven people and we expect that to grow as we get more exposure,” Cort added. Stabroek News understands that while they are in the process of procuring field staff, the company has an administrative staff of five persons including Cort, and General Manager Kerryann Haywood. And with a motto that boasts the delivery of the “Best healthcare in your home,” Cort said that they already have clients lined up waiting for the recruitment process to be completed. “We have clients lined up already but staff needs to be trained; once staff is trained, they are prepared to go out. So as we acquire patients that require some service, they are assigned to these cases. We are experienced and have…very stringent selection and training of our employees. Everybody has to be certified before they are sent out to perform care,” Cort shared. “Even when we acquire the patient and the person is assigned we will have continuous follow-ups to ensure quality improvement and that our staff is following all the rules and they are doing what they are supposed to do. And of course, we will try to mitigate any issues that may arise,” he added. For more information, interested persons are asked to call telephone number 501-0344.